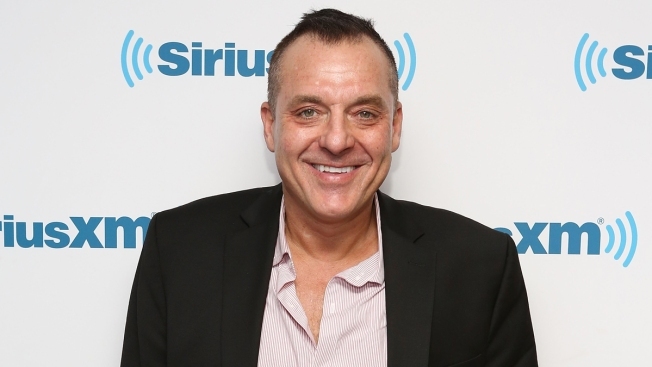 Tom Sizemore visits at SiriusXM Studios on Sept. 24, 2014 in New York City. The actor is being sued over a claim he groped an 11-year-old actor in 2003. A Utah woman who told police Tom Sizemore groped her at a photo shoot when she was 11 is suing the actor. The lawsuit filed Monday says the 2003 incident during production of the "Born Killers" movie left her with post-traumatic stress and drug and alcohol addiction. The lawsuit seeks at least $3 million in damages. Sizemore denied the "highly disturbing" allegation when it surfaced last year, saying he would never inappropriately touch a child. Sizemore spokeswoman Michelle Salem did not immediately return phone and email messages seeking comment. Salt Lake City police investigated in 2003, but prosecutors didn't file charges, citing witness and evidence problems. Sizemore's career has included prominent roles in "Saving Private Ryan" and "Black Hawk Down," but he's been dogged by drug abuse and domestic violence arrests.